The Bush Doctrine is dead! At least that’s what critics hope. But while new U.S. national security challenges emerge, many post-9/11 threats still persist and the policies of George W. Bush offer one set of strategic answers for how President Obama can confront those dangers. Neither a polemic nor a whitewash, this book provides a careful analysis of the Bush Doctrine—its development, application, and rationale—and assesses its legacy: How will Obama respond to the many foreign policy challenges that await him? 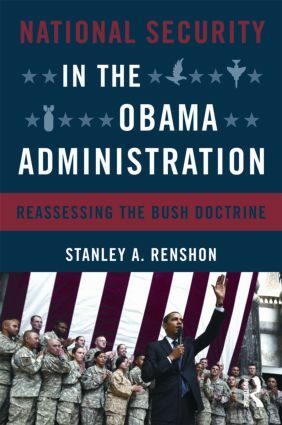 Through an examination of psychology as much as policy, Renshon gives us the first comparative analysis of the Bush Doctrine and the developing Obama Doctrine. The book analyzes the range of national security issues Obama will face and the political divisions that permeate U.S. national security debates. It is essential reading for anyone looking to understand how presidents assess security risks generally and how Obama specifically is likely to adapt the Bush Doctrine to his own worldview.